Almost everyone has their own ideas about what comprises their dream home. No matter what may be on their list, some things that are normally not included in that catalog are headaches. Nobody wants a house that turns out to be a constant maintenance nightmare or has various bugs that prove to be endless annoyances. 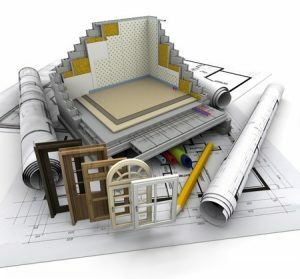 In that regard, building a new custom-designed home offers the greatest chance of avoiding these hidden problems. There will be no outmoded windows and doors that are finicky to operate or let in cold drafts. The heating and air conditioning systems will operate at maximum efficiency and minimum cost. Since everything in the home will be brand new, the service life of all the appliances will be as high as it is possible to get. Plus, again, they will be the most efficient ones on the market. Even if you can find the perfect floor plan in a used house, that does not mean that it cannot be replicated in a new home. It can also be improved upon if it “almost perfect”. This gives you the design you love coupled with the reliability, low maintenance, and lesser monthly utility cost of a new one. Another advantage of a custom home is that you can put it right where you want it. Perhaps you already own the perfect piece of ground with a spectacular view– a piece of land you bought when you first started thinking about that dream home. Even if you don’t have the land, Boise offers many spectacular opportunities in a host of desirable new neighborhoods that are close to shopping and with the best schools available. When thinking about building a new home vs. buying an old one, interest rates also need to be taken into consideration. Rates are as low as they are ever going to get, so you should take advantage of them to get the perfect dream home filled with all of the latest features, efficiencies, and technological advantages that no older model is ever going to be able to match. Finally, one should keep in mind that a brand new custom home is your dream alone– it has never been anyone else’s.